Dimensions: 12L x 12W x 15H in. Efficiently collect your honey with the Miller Manufacturing Inc 5 Gallon Honey Bucket. 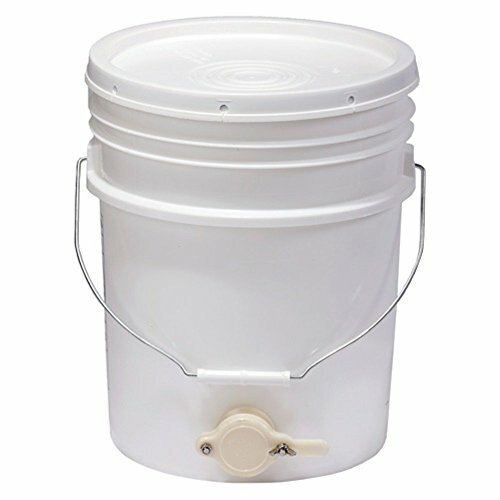 Constructed from HDPE plastic, this handled white bucket places easily under your extractor to gather the good stuff. Topped with a tight fitting lid and honey gate, this 5-gal. bucket can also be used to haul simple syrup to your feeders when natural food is scarce. Dimensions: 12L x 12W x 15H in.. HDPE plastic construction. Includes tight-fit lid & honey gate. 5-gal. capacity. Can haul syrup to hives for feeding.